My son Jason is a prolific writer. He blogs just about daily (and sometimes more than once a day!) and pours out his heart onto the page with heartbreaking prose. 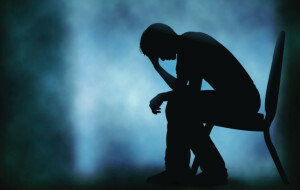 (I reprinted one of his posts here on July 6, “Finding Language for Primitive Emotional Experiences.”) His post from last Wednesday was on my heart this morning, especially since I just learned about the suicide of a friend’s son, who was in his twenties. A beautiful but troubled young man, he struggled with mental health issues for most of his short life, which he ended on Saturday night. I’m dedicating this post to him, with gratitude to my son for his insightful words. I titled the post “Relearning Depression” because of Jason’s wisdom concerning learning to live with ourselves with all of our “issues” rather than always trying to fix them. His words were helpful to me, and I hope they bring light into someone else’s darkness. I don’t view depression as waves, at least not for me. My depression feels like white flakes in a snow globe that are activated when something shakes me to my core. I become the center and the space around me becomes my world, a world I cannot see. While blinded I feel my swinging mood aiming for me like a gauntlet and I am the fool that has entered into it blind. No matter how hard I try, I simply cannot escape. People always want to fix things. Fix your smile so it looks just right, fix your attitude so it fits your new smile, and while we are at it let’s fix your past so you can finally move on. Depression? Take these meds, a few more pills. Lay back down on this couch… aren’t you comfortable yet? Tell me about your problems so I can tell you why they aren’t really issues. Let me know all your concerns so I can explain how you created them. Men and women in white coats scribbling your life away in a second. Trying to find the answers when we don’t even know the question. Depression settles at the bottom. It never goes away. It never “finally leaves.” When happiness slams the door, who is the first to notice and peep their head from waiting closet? Who knows just the right words to whisper in your ear so that you question the answers you once had? Feelings come like a shaking sun and all you can do is stand there in your crystal prison and wait. Waiting for depression to settle once more. You can read more of Jason’s blog posts here. Very well written. I am so sorry for the tragic loss of your friend. So sorry for the loss of your friends son. I’m not sure many can wait until depression to settle but learning to live with it is definitely something many have to do. Reading posts such as Jason’s allow those of us without depression to better understand family and friends who struggle daily. Another good reason for people to write about this, Tric. Thanks for reading and commenting. Thank you for sharing. I read your son’s blog. I love the way he writes so much. Lol which means I can’t read everything, but I know you are proud of him…… my husband’s nephew committed suicide a few years ago. He hid his struggles and we weren’t around him enough to notice. So sorry for the loss of your friend’a son……. Thanks so much, Patti. And yes, I’m so proud of Jason. Sending wishes for peace to you all as you continue to deal with difficult times. Thanks, Joanne. I feel that I turned a corner on my grief journey this past weekend in Mississippi…. and like my depression, I’m learning to let it settle on the bottom. Thanks so much for reading and for the encouragement, LJ. I’m glad Jason’s journey is helping you… he always helps me!